Sunday’s concert by the Concord Chamber at Concord Academy Performing Arts Center Players featured three unforgettably beautiful masterpieces. 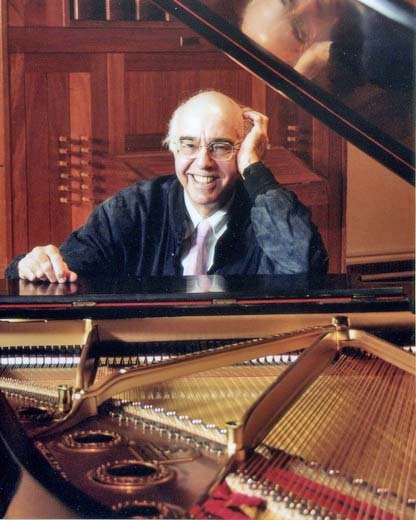 The first, a new piano quartet, Concordance by Yehudi Wyner, was commissioned by the Concord Chamber Music Society with support from The Harvard Musical Association. It was followed by the famously difficult Ravel Sonata for Violin and Cello and the magnificent Piano Quartet No. 2 in E-flat Major K. 493 of Mozart. Wyner was pianist in his own work and in the Mozart, Wendy Putnam, violin, performed all three, as did Michael Reynolds, cello. Steve Ansell, viola, performed both quartets. A few days before the concert I asked Wyner to tell BMInt readers something about his new piano quartet. If one were to give a name to Wyner’s essential and distinctive style, it might be called Organic Expressionism, in that the ideas unfold naturally, out of their own surprising depth, while displaying at every instant the fragility of inevitability. Concordance opens dramatically with a loud, hammered, broken chord from the piano, then a soft, somber response from the strings, a repeated pattern that is elaborated with each repeat. The hesitant, plaintive character of the opening transforms into a scherzo-like section, resolute and increasingly self-determined in the face of invisible threats. The scherzo then matures into an extended adagio, full of rippling elements that make time vanish, inviting us into the infinite depth of the present moment. The adagio in turn transforms through an alert intermezzo into a deeper, more mature and pensive adagio section filled with sounds of the night (reminiscent of Wyner’s earlier Dances of Atonement) tinged with angst at the ephemeral, but ending in a surprising note of transcendence with a rebirth in a dance rhythm. The piece concludes monumentally with an affirmation of staying power, even as the dance of life moves on, leaving us behind, strangely fulfilled. The introspective, pensive depth of Wyner’s new piece managed to communicate itself to the remainder of the concert. Rather than focus on the modernist excitement of Ravel’s Sonata, Wendy Putnam and Michael Reynolds gave it a haunting maturity. They performed it with sensitive accord, interweaving the independent lines with an almost invisible connectedness. The Lent movement in particular brought out the unusual sonorities that Ravel created for the innovative, stripped-down duo. What remains of Ravel’s earlier self? Perhaps the constant is simply the passionate elegance of the music. I was at this marvelous concert and it was a privilege to hear Yehudi Wyner’s new piece (some of it twice, due to a broken viola string; this turned out to be a blessing, as we heard a substantial part of the work twice, a Good Thing with an unfamiliar work, especially one as good as this). The only thing I would add to the review is to mention that Mr. Wyner is a master pianist as well as a very important composer. I have played the Mozart Eb Piano Quartet myself, so I know a bit about what is involved, and this was piano-playing of a very high order. He made it look easy, and it isn’t. Don – I agree on all counts. In writing the review I wanted to keep the focus on the terrific new composition we heard, but it is exactly as you wrote. The restart gave us a chance to hear much of the new quartet again and I too appreciated that. And Wyner’s playing in the Mozart was sensitive, refined, witty – a total joy to hear.